Winter weather may have you drinking less water, but its crucial to good health to drink up. Here in New York City, the amount of fluoride in our water is adjusted along with the seasons. Parents of my New Jersey patients are often shocked to learn that Jersey City (and much of the state of NJ) is a non-fluoridated community. That means your child may be missing out on the valuable benefits of tap water on both the baby teeth that you can see and the permanent teeth that are forming under the gums. Water, water, water…….its the most important drink you give to your child. Keep in mind, most bottled water doesn’t contain fluoride, is expensive, and is bad for the environment. Don’t like the taste of tap water? Buy a Britta filter to keep tap water ice cold in the fridge without filtering out the fluoride! 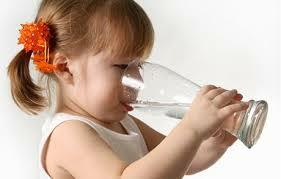 Infants under 12 months old may drink water from a baby bottle. Toddlers and children should be encouraged to use a straw cup or an uncovered cup after their 1st birthday. Only put water in a sippy cup, straw cup or baby bottle. Sweetened liquids (including milk) should only placed be in an uncovered cup after 1 year old. On the go? Have your child pick out a water bottle to take along or decorate a plain bottle with stickers. Please let me know if you have questions on quality and quantity of water necessary for your child. Communities save $38 in dental expenses for every $1 spent to fluoridate public drinking water!! Being pregnant affects your oral health. As your body changes during pregnancy, you are more likely to get sore, puffy or red gums. Paying attention to your oral health is especially important at this time. The good news is that by taking care of your mouth during pregnancy, you are not only helping yourself, you are also helping your baby. Dental disease is caused by bad bacteria (germs) that can be easily transmitted from mom to infant through saliva by sharing food or utensils. Getting dental care during pregnancy is safe and strongly recommended. By getting your own teeth treated prior to the birth of your baby, less bacteria will be transmitted to your baby and your child will be at less risk for developing cavities. Parents who keep their own mouths healthy will help prevent problems for their child. How Do You Keep Your Mouth healthy? Brush with fluoridated toothpaste twice daily (especially important before bed time) and floss every day. Chew gum with xylitol (a natural sweetener that reduces the cavity-causing germs in the mouth) four to five times a day, especially after eating. Limit sweet and high-carbohydrate snacks, such as soda, candy, crackers and chips. These foods feed the germs that live in the mouth and cause cavities. When you do eat these foods, brush afterwards. If brushing is not possible, rinse your mouth with water. Continue to get regular dental care while pregnant. 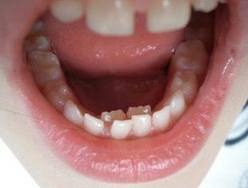 This includes preventive care, along with fillings and emergency dental services as needed. Receiving dental care while pregnant is safe and recommended. Once you have a newborn baby, it will be hard to find the time to get to the dentist, so do it now. If you have nausea and vomiting, it is important to reduce the acid in your mouth (it can damage your teeth). Eat small amounts of nutritious snacks during the day. If you vomit, rinse your mouth. Put 1 teaspoon of baking soda in a cup of water and use this to rinse. Be sure to spit after rinsing. Do not brush right after vomiting; this can damage the surface of your teeth.